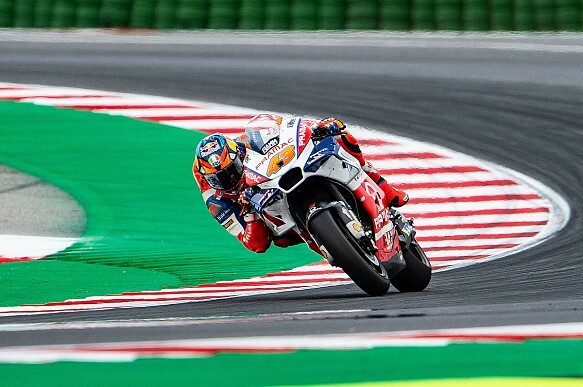 Johann Zarco and Jack Miller were first and second in the damp third MotoGP practice session at Misano, with both riders earning a spot in Q2 as a result. The session started in damp conditions, and most of the field decided to stay in pits in the early stages, with only a few riders completing one lap on wet tyres. 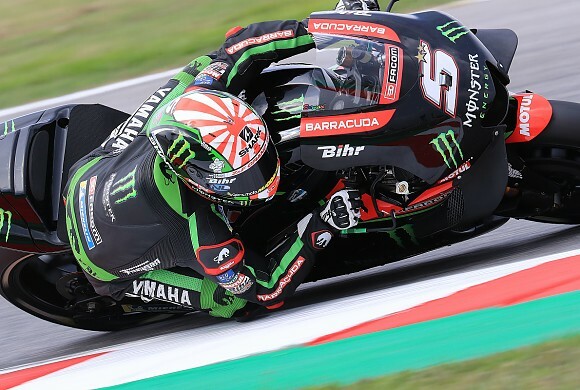 Zarco, only 11th overall after FP2, was battling for a Q2 spot, but his 1m33.010s was two tenths off Friday's cut-off time set by Franco Morbidelli. Qualifying later on Saturday will thus mark the first time Andrea Iannone has had to fight through the opening segment since the corresponding event last year. Pedrosa ended up eighth with Hafizh Syahrin recovering from a difficult Friday to take ninth.